Lime Microsystems has announced that its LimeNET crowd-funding campaign, will launch on the 27th April. This campaign will help to take its software defined radio small-cell and carrier-class base-stations to mass market. LimeNET base stations hold the potential to completely transform the way telco networks run, shifting the emphasis and value away from proprietary hardware to open hardware with app stores on top. LimeNET is a software defined radio (SDR) high capacity network in a box for mobile and IoT applications, based on an Intel i7 processor and the open source LimeSDR PCIe card. This combination makes it an ideal implementation for high data rate communication applications such as to 2-5G radio access to IoT nodes for wide area networks. LimeNET Mini - A software defined radio (SDR) small cell network in a box for mobile and IoT applications, based on an Intel i7 processor and the open source LimeSDR board. This combination makes it an ideal implementation for high data rate communication applications such as to 2-5G radio access to IoT nodes and much more. 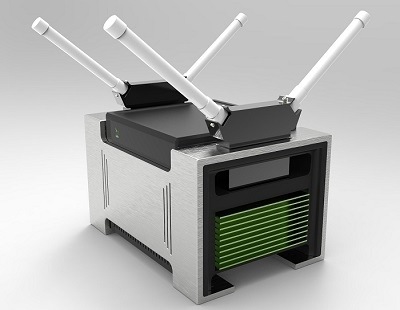 LimeNET base stations hold the potential to completely transform the way telco networks run, shifting the emphasis and value away from proprietary hardware to open hardware with app stores on top. The more-powerful LimeNET version is for carrier-class wide area network deployments. The company will announce pricing and early bird promotions in the run up to the campaign launch for both of these platforms. LimeNET is the follow-up to the LimeSDR crowd campaign, which is set to become CrowdSupply’s first $1 million project later this month. This new campaign is intended for use primarily as a mobile and IoT base station. The campaign is running in collaboration with Ubuntu with the two companies seeking to turn the mobile telephony business model on its head. Supporters of the LimeSDR campaign included the UK’s biggest operator, EE, which is partnering with several universities to deliver innovative systems, such as low-cost 4G rollouts to the remote Highlands and Islands of Scotland. 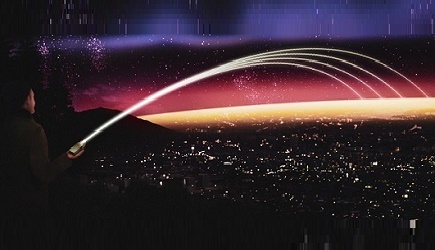 Other applications developed by the LimeSDR community have included IoT gateways, aviation transponders, utility meters, media streaming / broadcasting, radio astronomy, radar, drone command and control, and more. Lime and Ubuntu announced in February that over 3,600 developers are currently involved in efforts to create apps for the platform, with several free and paid-for apps having already appeared on the open community LimeSDR App Store, as well as Lime’s invite-only app store, LimeNET. The LimeNET platforms use Lime’s LMS7002M field programmable RF transceiver to provide continuous coverage between 100 kHz and 3.8 GHz, with a 120 MHz RF bandwidth. The transceiver contains two transmit and two receive chains to enable 2x2 MIMO. The platforms also run an Intel i7-7500U dual-core CPU running at 2.7/3.5 GHz. The LimeNET Mini small cell base station comes with 32 GB of DDR4 2133 MHz memory and 512 GB SSD storage. 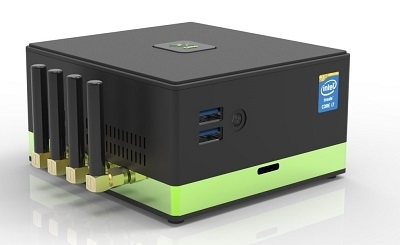 The LimeNET carrier-class base station comes with 64 GB of memory, with 1 TB of SSD storage. Its list of standards includes, but is not limited to cellular standards, including all regional variants of 2G, 3G and 4G - and those being planned for 5G; IoT protocols, including LoRa, Sigfox, NB-IoT, LTE-M, Weightless; general networking standards such as Wi-Fi, Bluetooth, Zigbee, RFID and digital broadcasting. Lime’s app stores are already open to developers. For further information on the crowdfunding campaign, click here.